NEW! BLOGS FOR THE STYLISH BLOG AWARDS! 2. Beats, Boxing and Mayhem – This blog has it all, terrific posts on boxing, hip-hop music and culture, plus some serious politics mixed in. 3. Inspiring Sports Women – She’s got that right. Lovely, inspiring writing about women’s athletics. 4. The Sweetest Thing – Inspired blog about the personal side of being a boxing woman. 5. My ish wish dish – Now this blog is truly stylish! My ish wish dish blogs about home style, cooking and life with two small boys on a shoestring. This blog has terrific recipes too. 6. Girl in the Ring – This blogsite is not so much for a stylish blog, as a website to help publicize Jill Morley’s much-anticipated documentary about women boxers. If you are looking for blogs by women who talk about the sweet science from the perspective of hauling themselves to the gym, here are a few Girlboxing has found around the web you might enjoy. Girl.Boxer.Southpaw: Girlboxing enjoys reading this blog. It offers insightful and inspiring pieces on what it means to get up and train. The link is here. The Glowing Edge: Terrific blog that mixes boxing news, personal boxing stories and the daily stuff about life. The link is here. The Sweetest Thing: A view of women’s boxing from Australia with a lot of salient points on the difficulties women face in the ring. The link is here. Binnie Klein: Binnie Klein is a women after Girlboxing’s heart who wrote “Blows to the Head: How Boxing Changed my Mind.” The link is here. As for straight-up news about women in boxing WBAN – Woman’s Boxing Network is worth checking out. Do they report on all the regional fights or have all the latest news all the time – not necessarily, but given their focus WBAN does a good job of keeping women’s professional boxing in focus. The link is here. Women’s Sports and Entertainment Network: This site reports on several different sports including women’s boxing. A recent promotional piece on Alicia “Slick” Ashley’s upcoming January 13, 2011 fight caught my eye. The link to the site is here. Women Talk Sports – does a good job of reporting and publicizing a wide variety of women’s sports and sporting events. The site also links to blog entries across the spectrum of women’s sports and does a fair job of reporting on women’s boxing and women’s MMA. The site is comprehensive and worth checking out here. Uppercut Magazine.com – Girlboxing came across this site on a recommendation. It is fairly new and focuses on a range of boxing and MMA topics, however, it’s content includes a few nice pieces on the state of women’s boxing, giving it fairly equal play. The link is here. PS – Please pass along any blogs you like about women’s boxing in the comments field. 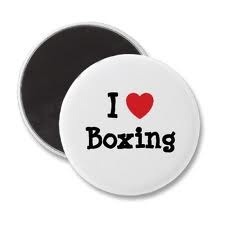 You could add “Boxing Mid-Life”: boxingdiva.blogspot.com to the list. Terrific, I’ll add you as a link! Best, Girlboxing! Great blog! Thanks for the head’s up! Great site with mixed boxing stories! StiffJab.com regularly covers women’s boxing, both amateurs and professionals. Will add you to the list! You could also add “legends boxing” to the list. it’s good to see to girls boxing,my niece does boxing she’s 14 and had 7 fights,her record is won 5,she won 4 by ko,she lost 2 also by ko..the last fight she had, her opponent was only in her second fight.. Thank you so much for sharing your niece’s story. Kudos to her for her efforts in boxing!